Power BI is a powerful analysis and visualization tool. 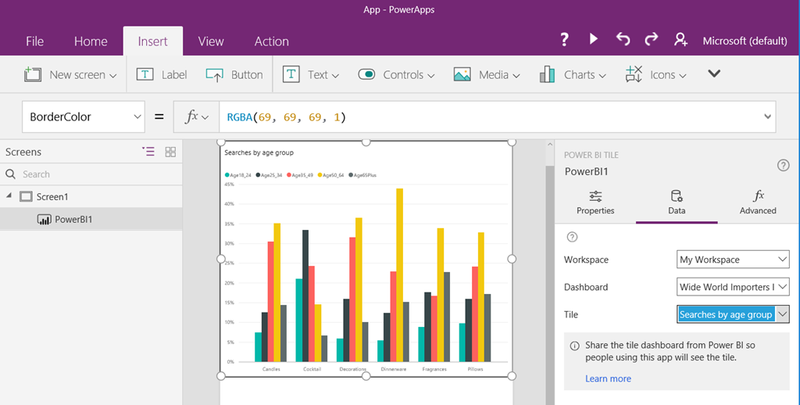 PowerApps is great at enabling people to take action on the web and mobile. Now you can build apps that give users great insight and let them act right away. Same place, same time. To show a Power BI tile, first add the new Power BI tile control to your app. Choose the tile you want to show by setting its Workspace, Dashboard and Tile properties in the Data tab of the options panel. The Power BI visual should appear on your design surface. Once shared, the PowerApps app will be accessible by all users who have permissions to access the app. However in order to make the Power BI content visible to those users, the dashboard where the tile comes from needs to be shared with the user on Power BI. This ensures that Power BI sharing permissions are respected when Power BI content is accessed in an app. 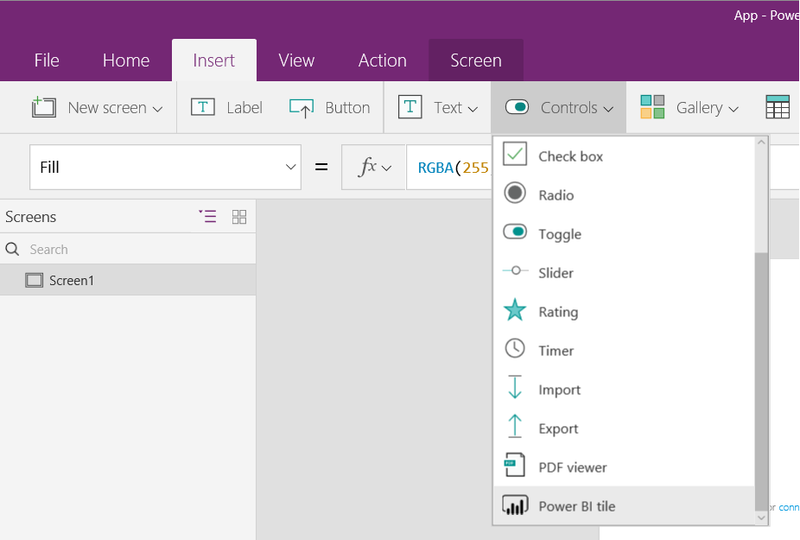 Most users will want the ability to click on the Power BI tile to be taken to its Power BI dashboard, in case they need to dig deeper into the data. This is already in the works and will be coming out in our next release in August.